Here is another tribute to a loyal and very talented fan of mine, Marge. 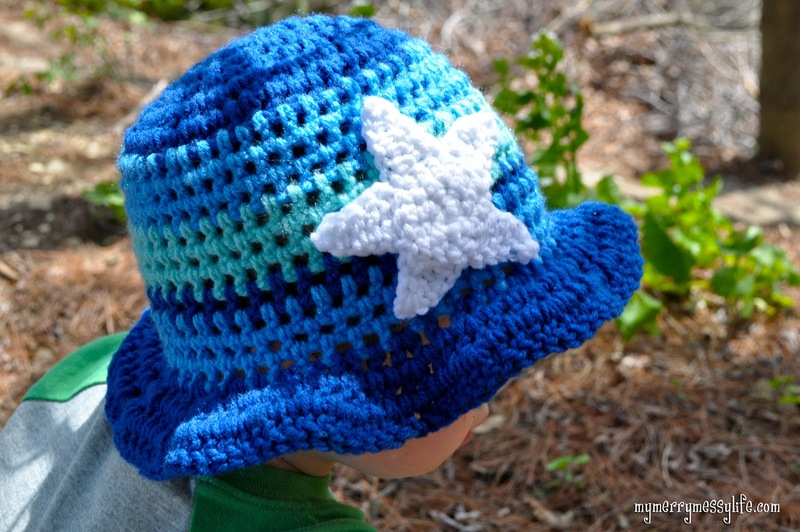 She has used my free crochet Toddler Boy Sun Hat pattern and made three hats. I just love how her’s is so different from mine – the creativity! 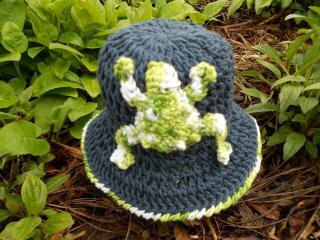 And Marge took the pattern and made it her own! Don’t you just love the frog? 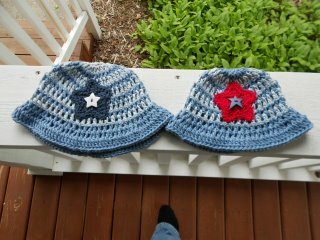 Here are hats she made for some neighbors. I love the star button in the middle.